Count,color and write toward better math skills! 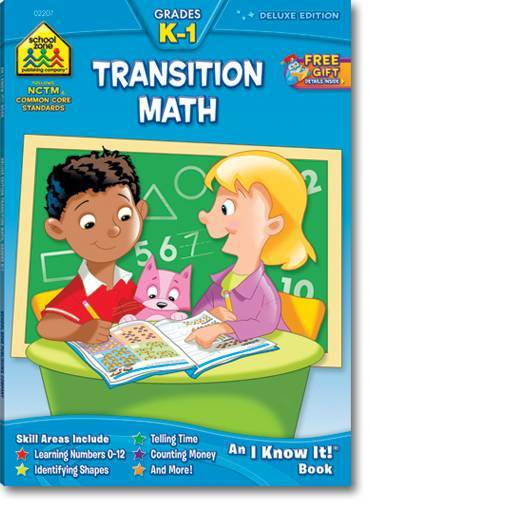 The Transition Math K-1 Deluxe Edition workbook will help prepare your child for future math challenges by introducing and reinforcing important beginning math skills such as counting money, telling time, identifying shapes and more. The lessons are planned in learning sequence; skills introduced in one lesson build on those taught in previous lessons. Its a perfect way to introduce, review and maintain essential math skills. 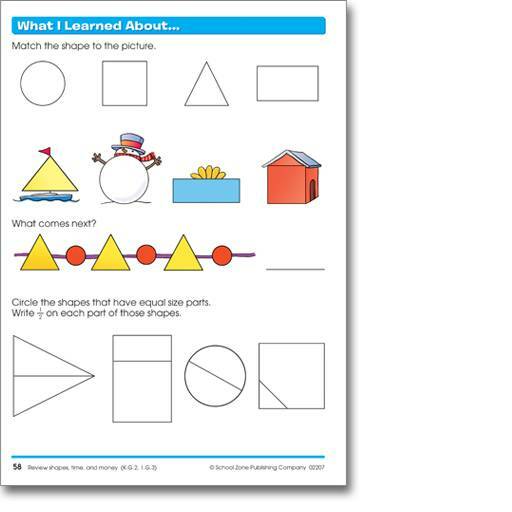 This workbook will help your child transition from kindergarten to first grade math in a fun friendly and creative way. Features include an easy reference answer key, perforated pages great for individual worksheets, concept and skill focus listed at bottom corner of each page, parent guide and recommended activities pages and more. 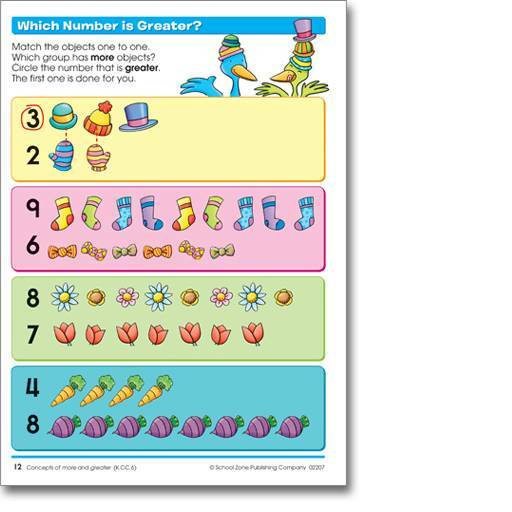 Reinforces the following skills: identifying numbers shapes; numbers 0-20; comparing numbers; showing and telling time; counting money money value; greater less than; sequencing; problem solving; fractions; more fewer; patterns.